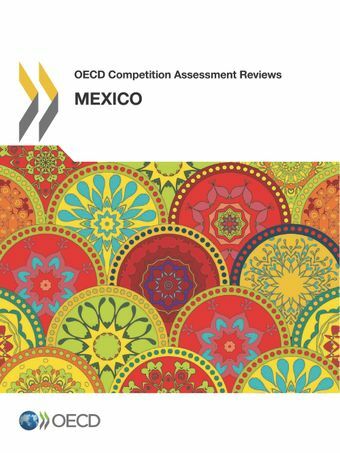 Many of Mexico’s product markets remain among the most heavily regulated in the OECD. These structural flaws adversely affect the ability of firms to effectively compete in the markets and hamper innovation, efficiency and productivity. Against this backdrop, this report analyses Mexican legislation in the medicine (production, wholesale, retail) and meat sector (animal feed, growing of animals, slaughterhouses, wholesale and retail) along the vertical supply chain. Using the OECD Competition Assessment Toolkit to structure the analysis, the report reviews 228 pieces of legislation and identifies 107 legal provisions which could be removed or amended to lift regulatory barriers to competition. The analysis of the legislation and of the Mexican sectors has been complemented by research into international experience and consultation with stakeholders from the public and private sectors. The OECD has developed recommendations to remove or modify the provisions in order to be less restrictive for suppliers and consumers, while still achieving Mexican policy makers’ initial objectives. This report identifies the potential benefits of the recommendations and, where possible, provides quantitative estimates. In 2016, a project to review two key sectors of the Mexican economy was launched. Making use of the methodology in the OECD Competition Assessment Toolkit, over 228 pieces of legislation were analysed in order to assess costs and benefits of regulations restricting competition in the medicine and meat sectors and proposed specific recommendations for change.